The first official Kesha release since 2013. 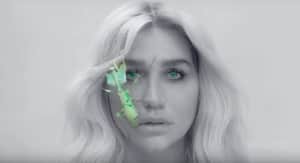 After a Coachella performance and teasers from the studio, Kesha and Zedd unveiled "True Colors" this week. "This is more than a song," the singer wrote on Facebook. "It's a declaration of my truth." On Twitter, Zedd made sure to note that the song was put together with the approval of Dr. Luke's Kemosabe Record. "We didn't use any loop holes," Zedd noted. "Kemosabe / RCA gave us permission to release this song!" Luke responded, "thanks for the clarification @Zedd." The New York Times confirmed that the track is a joint release between the label Zedd records for, Interscope, and RCA/Kemosabe.